CHI 2019 has a selection of hotels with special rates for conference attendees. 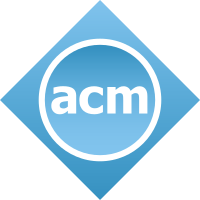 Important: When calling or emailing to book your room, you must mention ACM CHI 2019 to get the special rate for your room! Rate: £190.00 The hotel have informed us that all rooms are sold out for the conference duration. Rate: £169.00 The hotel have informed us that all rooms are sold out for the conference duration. Rate: Single Occupancy £179.00, Double Occupancy £189.00 CHI special rate no longer available. Please contact the hotel to enquire about cost and availability. Booking: Call +44 141 471 1700, email reservations.glasgow@radissonred.com, or use this link (use code ACMBB). Rate: £120.00 CHI special rate no longer available. Please contact the hotel to enquire about cost and availability. The following is a list of alternative hotels in Glasgow, near the conference venue. Please note that these hotels do not have a conference discount available, so the quoted room prices may vary, depending on availability. The Glasgow Convention Bureau have also provided this map showing a variety of hotels in Glasgow.